We have been hearing that PTA is preparing to block all handsets with fake IMEIs or what they are calling is “Duplicate IMEI”. For the purpose, PTA (with the help of cellular companies) has identified handsets with duplicate/fake IMEI numbers and are sending out SMSes to such handset owners to prepare their alternative handsets or their SIMs will get blocked. However, there is this problem that PTA or anyone is not able to identify that which handset (of two with same IMEI) is powered by Nokia or other legitimate manufacturer. We have been receiving emails from our readers, who have original Nokia (or other branded) phones but are getting those SMSes about possible blockade of their numbers. I have received message on 21/04/2011 from P.T.A that my original Nokia handset model 5230 with IMEI no 354336043288687 is illegal. I have purchased this set 6,7 months ago from a shop named International Mobile Zone, Hyderabad, Sindh and my set is still under 6 months warranty provided by United Mobile. Kindly guide me how to settle this problem unnecessarily created for me. You can see the misery of customers and time they will have to waste due to the whole scenario. Few of them may end up actually loosing their Nokia phones, due to lack of awareness and ordinary support from phone vendors. It is not that we are against the ban of fake IMEI handsets, but a million dollar question is: Why did the government allow these handsets to get imported in first place? Now if Chinese handsets have penetrated so deep in our local industry, given they are workable, they are inexpensive – then why Government suddenly got worried about them? If security concerns are for real or Government got tipped by the mobile phone manufacturers on this? Indeed they should take these steps 10 years back. . .
Amir, you own a well reputed blog, so it doubles your responsibility to NOT spread ANY words without proper authentication. I am personal using NOKIA handset but didn’t received any such SMS from PTA or even from my cellular company. Almost 90% of your blog readers must be mobile users and I don’t think so that any of them got such messages except those who are using un-registered SIMS. So, before spreading negative words regarding any national institution PLEASE name sure to confirm the credibility of person who forwards you his/her complaint e.g. Miss Aisha Parveen. Allah has blessed you with a good platform to share latest IT/Telecom updates of Pakistan so use it well because now it is your religious and ethical duty. Bro, thanks for feedback… i appreciate it. Here’s the thing: You didn’t get any SMS coz there wont be any Chinese handset using IMEI same as yours. So the idea behind this post is to highlight the authorities of a possible hurdle they might face during the blcokade of duplicate IMEI handsets. I don’t see any spreading of negative image of our institutions with “good” image. A technical thing is discussed and Amir has a very valid point here. If a chinese handset has duplicated my Nokia handset IMEI, whose IMEI will be blocked? Or none will be blocked ? Personally do you think our institutions have any credibility ? I see people criticize them for some reason but support for no reason or some minor reason. And we first need to understand positive criticism like this one brings positive change. Positive criticism is valid, but what is the criteria which can indicate if the criticism is negative or positive? Did you personally got any warning SMS from PTA till now? or do you personally know that lady Miss Aisha Parveen so you believe that what she said is truth? If you have personally experienced such thing/problem then your criticism is positive, but if you are only talking on assumptions then its not good to criticize blindly. And definitely, if a Chinese handset has duplicated your Nokia handset IMEI, then that Chinese handset should be blocked. O bhai ager apko SMS nahi aya hai tu isska matlab hai k kisi ko bhe nahi aya hoga , ya kisi ko nahi aai ga ? I guess this is a valid point raised by Aamir bhai. The ratio might be less but definitely there is chance that many valid users will be effected too. Again, main mulk kay faiday ki baat ker raha hoon … un logo ki nahi jo char char illegal SIMS rakh kay bethay hain, aur un ka ghalat istamal ker rahay hain. Dear Akhbari bro, first off no one is doing “Mukhalfat” of PTA, i am 100% sure Aamir hasn’t posted this just for the sake of criticism! 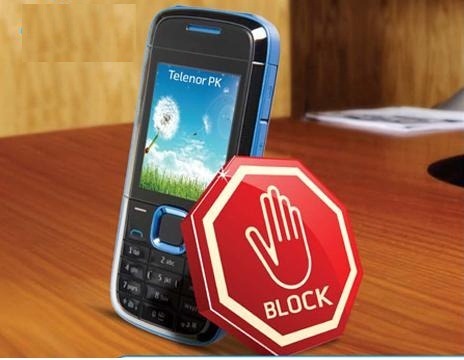 Here the situation; A person have paid a lot of money for a branded phone (Nokia,Samsung etc), Now Mr. Malik decides to block all duplicate IMEI as he thinks its a security threat, Ok no problem with that but PTA should have a proper system to detect which one (of the two) is “illegal” so block just that one, don’t get the other person in trouble. But if it doesn’t go that smooth imagine a person who has paid a lot of money (i’ve paid around 50K for mine) gets his phone blocked because some cheap Chinese manufacturer copied his IMEI which he doesn’t even know! If you or anyone here has not received a warning SMS from PTA that doesn’t mean ALL IS WELL. Those who received SMS could be just a few, lets say 40-50, do you want them to loose their money because of.. well nothing??? yaar baat phir wohi hay, chalo farz kero jin 40, 50 logo ko SMS agaya hay kya ap un logo ko personally jantay ho?? ya aap khud un logo may shamil ho?? My own nokia phone if worth Rs. 28000 but is ka matlab yeh tuo nahi kay main rola dal kay ek policy ko implement honay say pehlay hi flop qaraar day doon. Loopholes her policy may hotay hian .. lekin is ka matlab yeh nahi kay usko usi time bogus declare ker dain .. koi solution hay tuo woh is tarikay say paish kerain kay policy make bhi tasleem keray. Ager ek problem ap nay experience hi nahi ki to ap bus beth kay “PROBLEM PROBLEM PROBLEM” chillaatay raho gay??? Look @ Mr. Tabedar in below comments .. atleast us banday nay solution to provide kiya na victim ko .. apa ki terha ager her banda beghair verification kay “PROBLEM PROBLEM PROBLEM” chillaata raha tuo mulk kay haalaat mazid badter hi hoon gay. So according to you if i don’t know those 40-50 victims of this “policy” personally i should not speak for them? If so i must ask how many Pakistani personally know the victims of drone attacks and suicidal attacks? So those who don’t know them personally should be saying “bombard everyone with drones and kill everyone with suicidal attack, i don’t care as long as they are not my personally linked to me” uhh??? And now you would say why i’ve linked this to drones…. wouldn’t you? You are comparing drone attacks with illegal SIM/IMEI blockage? So there is no point of further discussion between us. And regarding your claim “so PTA HAS sent warning message to users of legitimate branded phones and Aaisha parveen is one of them!” all I can say is that it would be better if Admins of this blog personally record a video interview of some senior employee of PTA to clarify this issue. Thanks for the “compliment” !! I was expecting it. Why all these measures ? Security situation in the country? Ok. So they were sleeping atleast from last one decade ? Our Interior Minister who served in FIA before his sacking earned years of experience, he could have come with this idea when millions of Chinese were being imported. He is Minister from last 3 years. So who will suffer at the end ? Not Mr. Abdur Rehman Malik, not Dr. Yasin, nobody else but poor people of Pakistan. aamaal hamaray apnay kharab hain aur ilzam sara Govt. pay daltay ho …. As per Quran/Hadees e- Mubarika kisi qom pay hukmaran wesay hi naafiz kiya jata hay jesi woh qom khud ho … think about it. Not specific to Nokia noob. Well, this is a disturbing step by PTA. Before starting this step, PTA must setup some analysis regarding IMEI so that it can easily be identified which IMEI is original and which one is fake. Because every major Manufacturer must have some algorithm to generate IMEI for their devices. What about the people who’ll suffer? What’s their fault if a chinese company duplicates nokia’s “MOBILE EQUIPMENT IDENTIFICATION NUMBER”. They’ve paid their hard earned money for that equipment. Govt should help them prior taking this action in this regard. They should be paid or given a new handset (anything that is possible). Any idea what will happen to GSM modems? I think all of those cheap GSM modems from china also have same IMEI …right? @ Ms. Aisha Parveen: Please lodge complaint @ “[email protected]” or “[email protected]”. Reading your reply to ‘Suhaib’ again made me realize that may be you missed the whole point of this post? we are not concerned over blocking those cheap chinese phones with duplicate IMEIs or no IMEI at all but the problem is that in the process doing so PTA has sent warning message to users of legitimate branded phones and Aaisha parveen is one of them! America kay chamchay, Ab China say panga lay rahain hain. By the way, is not PTA asking for blocking “Un-verified SIMs by May 17,2011” and not Duplicate IMEI? Can some one please confrim that PTA is also asking to block phones with duplicate IMEI? Do you have any ref. where PTA said that they are blocking phones with duplicate IMEI? I read in another blog that they will be sending SMSs to those with illegal SIM but not for duplicate IMEI ……. Such rumor should not be spread without any proper verification or by just getting a single complaint of any unknown lady. Here is the wordings of message that i have recieved…. My handset is Samsung SGH-D900i , some buttons are also not working sometimes..I don’t know what would be the future of my phone.